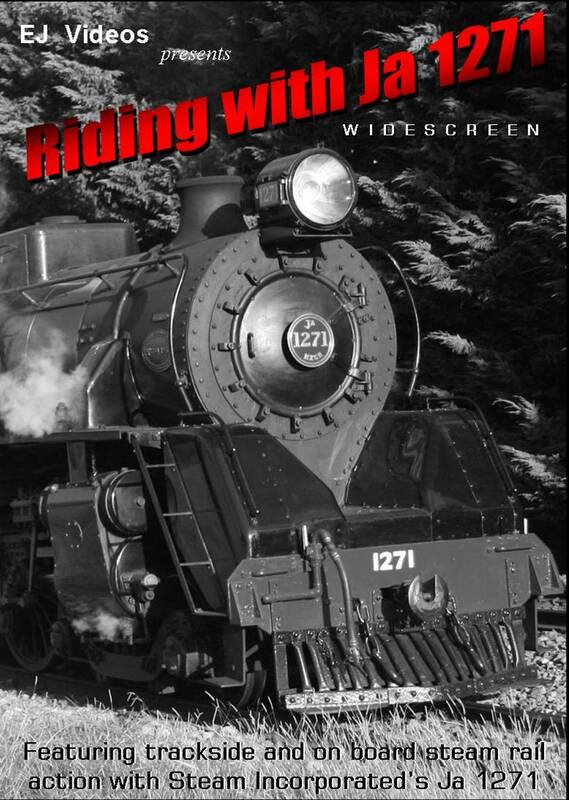 75 minutes of pure steam action in a modern setting. RR2 begins in Feilding where we piece together the sequence of events that take place during "Steam Sunday's" - where the northbound Overlander is hauled from Feilding to Taihape by a steam loco with the loco being pre-positioned in the loop track and eventually connecting onto the Overlander upon its arrival. Once we sort all this out, we're on our way North with lots of run-by shots from Feilding through to Taihape, ending with a couple of snow shots from Waiouru and Tangiwai. 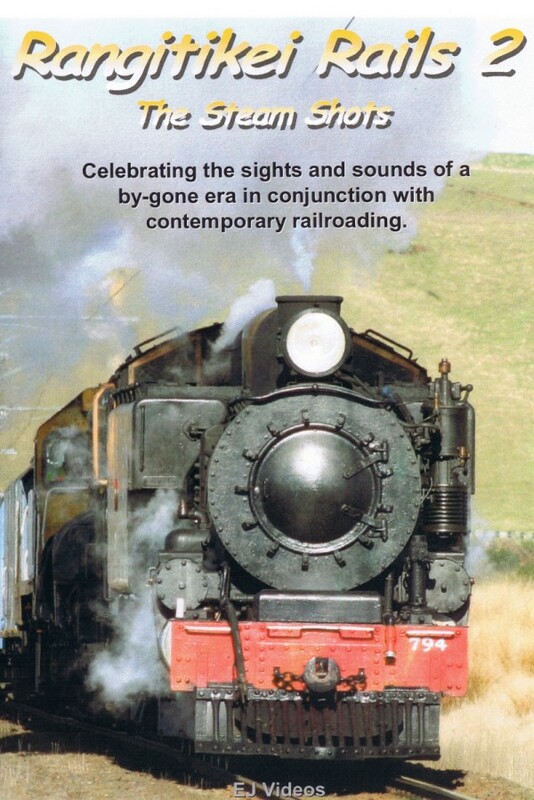 The focus is on Feilding Steam's Wab 794, however the Ja and the Ab make appearances with some excursion runs. We begin our trackside journey at Feilding, where The Overlander commences it’s leg to Taihape behind Wab 794. However during the winter of 2010, Mainline Steam’s J 1211 was used when the Wab was unavailable. We follow this special run on several occasions to capture some spectacular steam rail action in some equally spectacular scenery. The program concludes with JA 1271 hauling an excursion from Paekakariki to Woodville via the North Island Main Trunk to Palmerston North, through the Manawatu Gorge to Woodville and return. We capture the action starting at Palmerston North, chasing the excursion to Woodville and then returning to farewell the train at Palmerston North again. Bonus material added at the last minute includes selected repeat shots from Rangitikei Rails 2. Steam Incorporated's mighty Ja 1271 coal fired steam loco puts on a memorable display in this production as we cover two excursions from late 2010 and early 2011. Part 1 covers the Xmas Wine & Dine Special from Paekakariki to Levin & Palmerston North. Part 2 covers the Eketahuna Express, and we catch up with the action at Otaki and chase the train all the way to Masterton via Palmerston North, the Manawatu Gorge, Woodville and Eketahuna. It's not just the train, as we'll also see the hard working volunteers from Steam Inc. doing what they do to make these excursions the success that they are. The production format is a little different to what many may be used to. There's no narration at all, minimal subtitles and quite a bit of appropriate music. Footage is from the Paekakariki Depot, trackside, on board including a Guards view as we depart Levin, and the Masterton turntable. 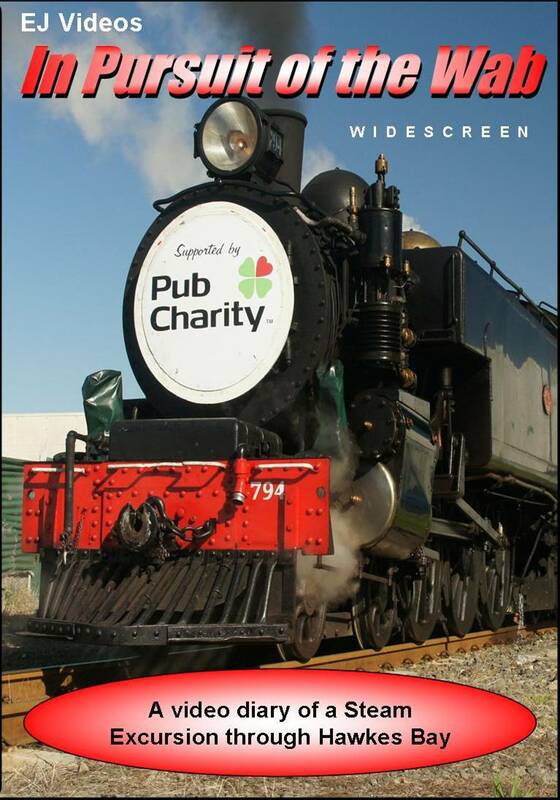 On January 17 2012, Feilding Steam in conjunction with KiwiRail and Pub Charity, operated a steam excursion from Palmerston North to Napier for Camp Quality Wellington/Central Districts. Children with cancer and their families boarded at Woodville and the day was bright and sunny for a thrilling ride behind Wab (pronounced Wob) 794. During a servicing stop at Waipukurau, the passengers were treated to additional entertainment on the platform before re-boarding and continuing on their journey. 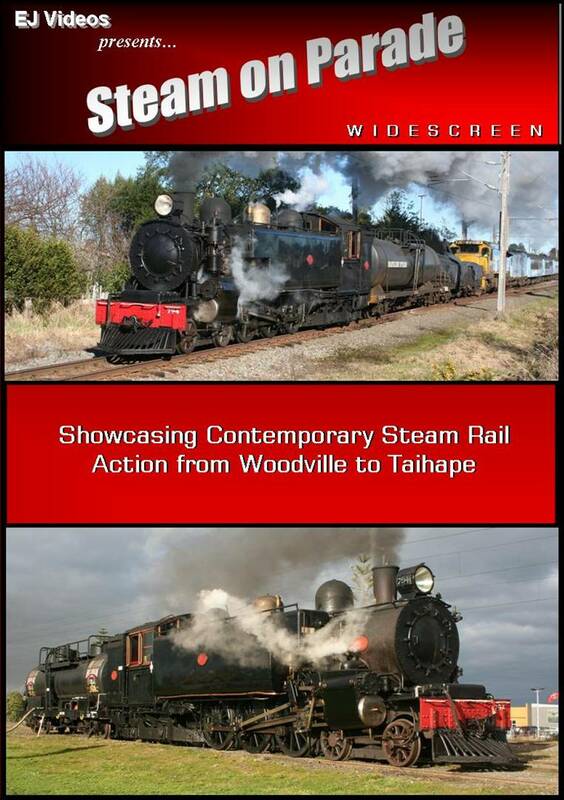 This 50 minute production is a collection of trackside shots filmed from Feilding, Palmerston North, Woodville, and Dannevirke to Napier, and the return journey from Napier to Woodville. Organising an excursion on active railway lines takes a lot of planning, and the ever changing requirements of operating a railroad, despite the best of plans, keep controllers busy. Mixed in with the shots of the Wab are KiwiRail's operational trains that passed through on the day.